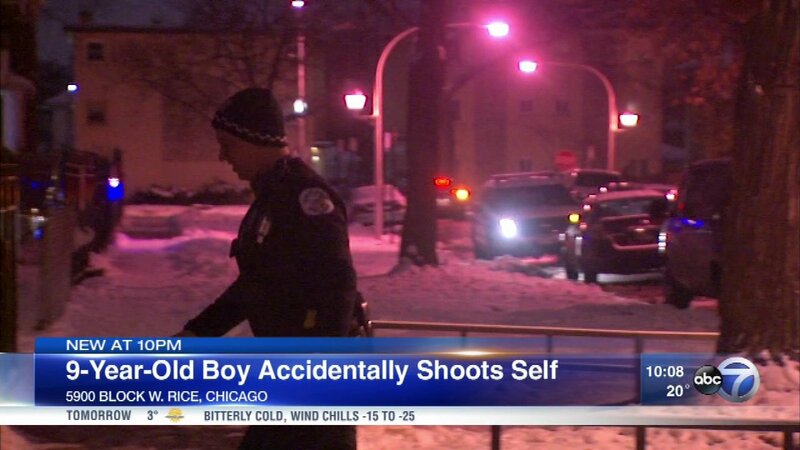 CHICAGO -- A 9-year-old boy was hospitalized Saturday afternoon after accidentally shooting himself in the South Austin neighborhood. The boy suffered an accidental, self-inflicted gunshot wound to his right leg about 4:20 p.m. in the 5900 block of West Rice, Chicago Police said. He was taken to Loyola Medical Center. The weapon is legally owned by a member of the boy's household, according to police.